What have WTO accessions contributed to the rules-based multilateral trading system? What demands have been made by original WTO members on acceding governments? How have the acceding governments fared? 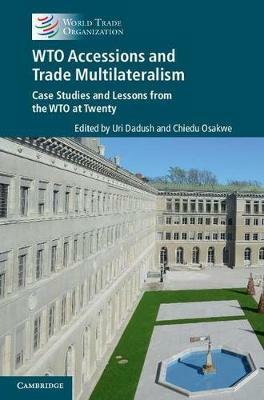 This volume of essays offers critical readings on how WTO accession negotiations have expanded the reach of the multilateral trading system not only geographically but also conceptually, clarifying disciplines and pointing the way to their further strengthening in future negotiations. Members who have acceded since the WTO was established now account for twenty per cent of total WTO membership. In the age of globalization there is an increased need for a universal system of trade rules. Accession negotiations have been used by governments as an instrument for domestic reforms, and one lesson from the accession process is that there are contexts which lead multilateral trade negotiations to successful outcomes even in the complex and multi-polar twenty-first century economic environment.